Writers House Publishing House, LA, Cal. 363 pages. 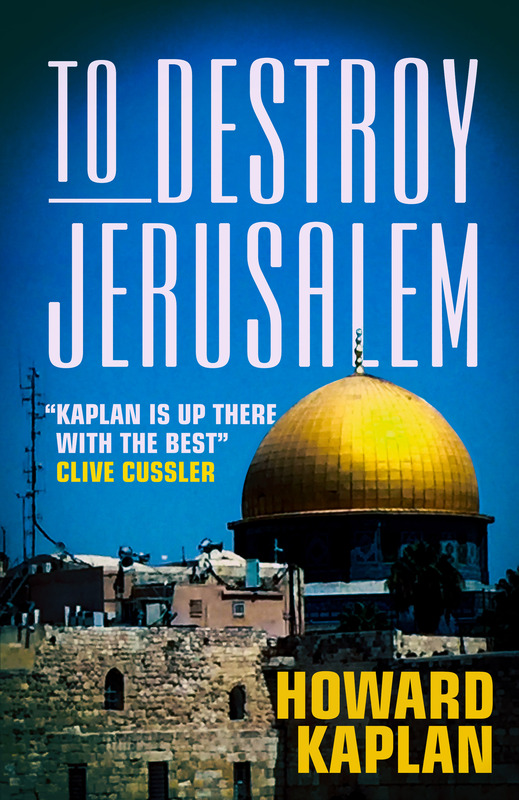 TO DESTROY JERUSALEM, Kaplan’s fifth gripping Middle East thriller, is his longest and most ambitious to date. A historical novel set in 1990, the action races around the globe from Jerusalem, to Rio de Janeiro, to London, and then to war torn Beirut as the antagonists attempt to separately smuggle plutonium into Israel and have the operational physicist breach Israel’s fortified northern border. How they manage both should keep Israeli security services up at night. They want to use this live nuclear weapon as a threat. Kaplan takes us into the strike committees, their internal organizing, and the hearts and minds of the PLO terrorists It is a hallmark of his writing to give us human characters on both sides of the war. While Kaplan’s spies usually work as loners, the Israeli team this time assembled to thwart the plot, is an unusually rich group of Sabras (Israelis), South Africa, British and American olim (immigrants) with their facility in English, among them two fascinating women who have joined the Mossad for vastly disparate reasons. Romance strikes and not unintentionally as Kaplan’s spymaster, Shai Shaham, has women constantly on his mind in his spare time. By the way: Kaplan’s spies are married folk with children struggling with these relationships as they are gone so often from home. All three feature Shai’s relationship with Ramzy Awwad, the Palestinian Liberation Organization intelligence officer and famous short story writer. Kaplan lets us know in the afterword, that Awwad is based on Ghassan Kanafani, the actual spokesperson for the PopularFront for the Liberation of Palestine (PFLP) later killed by a Mossad hit team in a car bomb explosion in Beirut in retaliation for his part in the lethal Lod Airport massacre, when the PFLP “subcontracted” Japanese terrorists to murder passengers at baggage claim, killing 37 people and wounding more than 80 . Kaplan’s novel, THE DAMASCUS COVER has been adapted into Sir John Hurt’s recent film starring Jonathan Rhys Meyers, Olivia Thirlby and the Israeli actors Aki Avni, Tsahi Halevy, Neta Riskin and Igal Naor. It is currently available on Hulu in the US and worldwide on Netflix.